And... I'm back! I went for little trip up to my mum's house for a few days. It was lovely to have a nice relaxing time away. Kind of restorative. While I was there I took the opportunity to enjoy the beautiful night sky (no light pollution out in the country!) 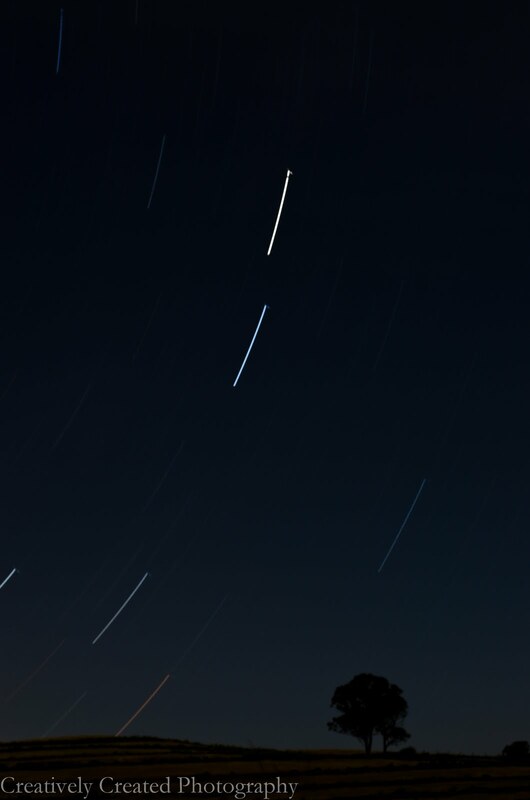 and I finally got to take a lovely star trail shot. 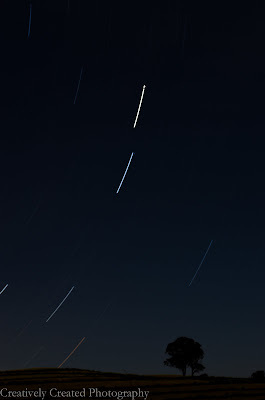 I have been wanting to take some star trail photos for ages. But city living isn't exactly the best place for long exposure photography. It was so thrilling to put into practice some of the techniques I've been reading about for so long. I still need to perfect my technique a bit. It didn't turn out exactly as I wanted but I didn't want to be out all night long so short star trails were the best I could do. But unfortunately it was cloudy for the rest of my time up at mum's so there wasn't any other opportunities for fantastic star trail shots. Oh well. I feel another road-trip in the works.